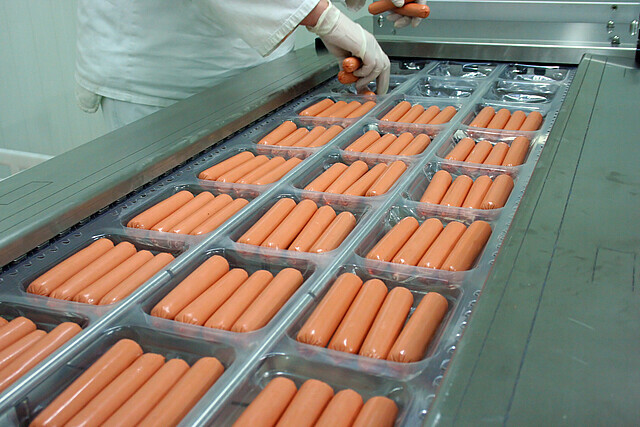 When it comes to the production and processing of cooked meat, hygiene is the highest priority. The strict regulations include ensuring the presence of air with an appropriate level of hygiene. Filtration solutions from Freudenberg ensure maximum air purity and reliable protection. In addition to an uninterrupted cooling chain, a consistently hygienic production environment is essential for the processing of meat. Filtration systems developed by Freudenberg contribute to optimal processing conditions with hygienically flawless air. They separate particles and microorganisms from the plant air to reliably prevent contamination. The selection of the right system is based on your individual requirements. Together with you, we assess your production site to identify an ideal filtration solution for your specific needs. Discover our products for the cooked meats production.